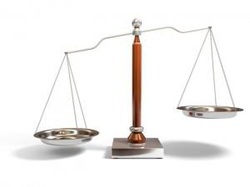 Many of your feelings of poor health could be due to hormonal imbalances. Salivary hormone testing provides an accurate way to identify these imbalances and help to focus on bringing them back to a balanced state. Jan offers salivary hormone testing as a non-invasive and very convenient measure of her client’s hormones. It measures free, bioavailable hormones (those doing their job at the cellular level) as opposed to bound, unavailable hormones in the blood. 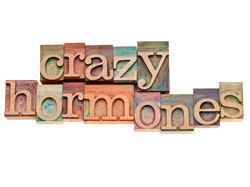 Hormones play such a vital role in the maintainence of health and wellbeing. Identifying an imbalance in any one or more of the hormones through saliva testing can help to create the most effective treatment protocol for the client in order to balance the hormones. For example, the levels of your stress hormone cortisol measured over the course of a day gives an excellent snapshot of your adrenal health. And is the ideal test for people who feel fatigued on waking, or in the afternoons. Another test, the sleep profile, measures your level of the sleep hormone melatonin as well as cortisol at midnight. This test is for people with insomnia and sleep problems and can help Jan determine the best naturopathic solution. Salivary hormone testing can be used for both men and women. In menstruating females the saliva sample is taken on day 21 of the cycle, first thing in the morning. For males or non-menstruating women, the sample can be taken any day of the month. If you are suffering symptoms of hormone imbalance Jan is likely to recommend you have this test to check your levels. You do the test yourself in your home and send the saliva sample/s in the postage paid envelope provided. The results will be sent to Jan after approximately 3 weeks. Jan will then discuss the results with you during your follow-up consultation. There are simple ways to improve hormone imbalance so do not despair.